Light Painting : The Fotogear Magilight is an advanced light painting stick which can be used by professional photographer as well as a beginner. It serves all the needs of the photographer with its single stick. With a backing of over 800 individuals with $150,000 in funding so far, the Magilight is definitely a hit in the painting photography market. 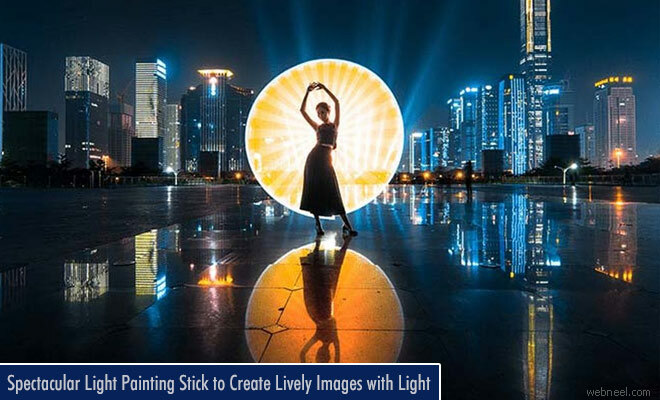 The light painting stick is designed by photographers with an adjustable handle and a 360 degree spinning barrel. The hole in the top allows an additional creative effect. Magilight is compatible with drones and other diverse accessories as it has a handy tripod hole. With the High-resolution RGB LEDs Magilight has waved a goodbye to the light bulbs, flashlights, light cords and any other source for light painting.